This FREE "All About Me Tab Book" is perfect to use the first week of school. 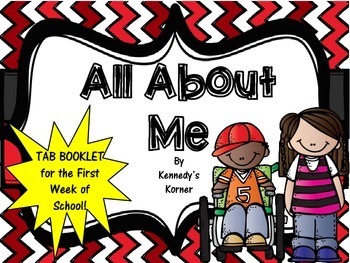 Your students will enjoy illustrating and writing about themselves. You will enjoy getting to know your students better by reading these cute books. You could even have them share these books with each other to help them get to know their classmates better. We hope you have a wonderful start to the new school year. Stop back and visit us soon!